It just can’t be said that winter is over until you are able to open your family swimming pool for the season. If you sometimes put it off a few extra weeks, despite the nagging of your kids, because you dread the various steps involved, it will help you to know that there are a few swimming pool services you can hire out that will make it a breeze. Pool Testing – It is pretty difficult to know how to get the water balanced if you don’t know where it is at to begin with. Professional pool testing is ideal because it not only gives you the makeup of the pool water, but they’ll also advise you on how to correct it. 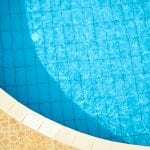 Pool Repair – Winter can be hard on a swimming pool, particularly if it wasn’t closed for the season in the proper way. You may need a few pool repairs, which should be done before you get too far into your pool opening. Have the filters, pump, liner and other components checked out and you’ll save yourself headaches later on. Pool Cleaning – Even a covered pool usually needs a bit of cleaning to get ready for its first use of the season. Swimming pool services that include a thorough pool cleaning will save you a ton of time. You won’t have to put off your pool opening this year when you give us a call at Cayman Pool & Spa. We offer the swimming pool services you need, including the supplies that will help you get the most from your pool this season. Contact us today or stop by our Mooresville or Concord, North Carolina store for more information on how to be able to dive into that pool sooner and with total confidence it is ready for swimming.